Commit to high standards, capacity building, and lasting impact – for the client, for the coach, and for the community. 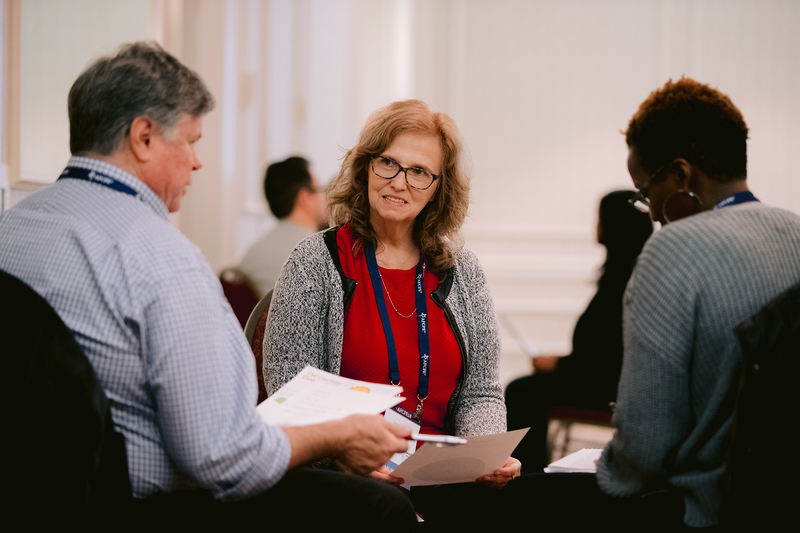 Over the last 4 years, organizations and funders have invested in Accredited Financial Counselor (AFC®) and Financial Fitness Coach (FFC®) training and certification to better support initiatives that create lasting impact. As we enter 2019, we are excited to announce what’s new for our certification programs! The Cities for Financial Empowerment (CFE) Fund has Approved AFCPE® as an Approved Training Provider. In 2012, AFCPE® and Sage Financial Solutions partnered to develop the first of its kind financial coaching program. The program builds upon a strong foundation of knowledge, providing you with the skills and techniques to better support clients as they make lasting financial behavior change. Coaching is not a replacement for counseling or planning. Rather, it’s the ultimate compliment – teaching you an effective way of working with clients to support them in taking charge of their financial choices and implementing action plans. “Because of my training as a Financial Fitness Coach, I am able to bridge counseling and coaching knowledge in a way that better supports the client. This knowledge helps me support my clients to set more relevant goals, and provides me with a better understanding of the psychology behind the effort it takes for them to accomplish these goals.” Shandra Thomas, AFC®, FFC® candidate. Visit our Impact Page! To learn more about the organizations and initiatives who are investing in impact through our certification and training programs, visit www.afcpe.org/certification-and-training/financial-fitness-coach/impact. Or register today to join us for our next Coaching Essentials Training, February 14 & 28! The AFC® certification program has a new supplementary tool to support your preparation for the AFC® certification examination! The course is designed to guide you through the material, providing you with additional tools and resources to develop your skills, test your comprehension, and put your knowledge into practice! Divide the material into manageable sections of content. Sort through study processes more efficiently. Engage with other certification candidates through discussion boards. Tap into different learning styles, utilizing videos for visual learners. Apply the material you are learning with “Think Like A Counselor” exercises. Access study materials, including a glossary of terms and worksheets. Explore additional resources and links to bring the material to life. Experience new content, including case study applications for non-traditional clients and instruction on cultural sensitivity. Invest in AFC® and FFC® certification and training – for you, your organization, or your important financial capability initiatives. Have questions about nonprofit or group pricing? Need help figuring which path is the best one for you? Whether you are interested in AFCPE certification, training, or membership, we look forward to supporting you in 2019!